“Dlp 1.1” is an hour-long track from The Disintegration Loops, a series of four albums released between 2002 and 2003 by avant-garde composer William Basinski. For one hour, you hear a cassette tape looping a short fragment of ambient music. With each cycle under the player’s head, the magnetic tape deteriorates. As the quality decreases, the anomalies and distortions increase, until only the ghosts of the original recording remain. The result is a poignant, immersive, void-gazing drone. It is simultaneously outrageous and mesmerising. To me, this approach to musicmaking was a revelation. Basinski opened my eyes to what music could be. Through “Dlp 1.1”, he introduced me to experimental music and specifically, the power of repetition, distortion and texture. “Container Ships” is the fourth track on Sketches From New Brighton (2012) by Loscil (Scott Morgan). 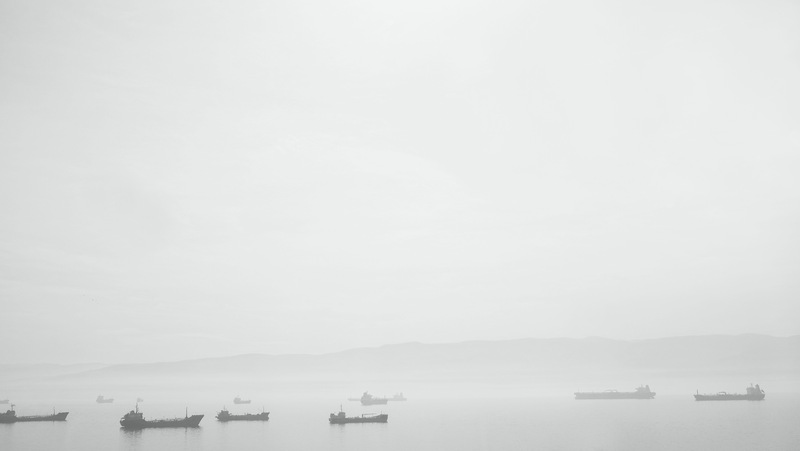 The album is a series of ambient electronic “sketches” inspired by scenery surrounding a Vancouver shipping port. Throughout the track, a pulsing bass theme surges and recedes like an enormous engine. This is joined by an optimistic tune in a higher register, animating the piece. There are distinct, contrasting layers that seamlessly blend together—methodically assembled, yet unfolding naturally. This is what makes Loscil so impressive: the ability to make the calculated feel organic. His minimal soundscapes are pristine but personal, and their warmth draws you in. “Container Ships” pushed me into making ambient music, and for that I owe its composer a debt of gratitude. “Repose In Blue” is the finale of Eluvium’s 2007 Copia album. Matthew Cooper, the man behind the moniker, is known for his cinematic ambient compositions, and this nine-and-a-half-minute track does not disappoint, expertly employing the element of surprise. For the first five-and-a-half minutes, an unassuming, string-laden stream of synths passes unhurriedly along—later joined by the laziest horn imaginable—when all of a sudden, a series of deep, unsynchronised drums begin to randomly explode beneath the surface, like subterranean pyrotechnics! This interruption is nothing short of sublime, given the placid expanse he so carefully constructs, up to that point. If I could convey a fraction of such drama and emotional content in my music, I would be delighted! I find myself in an odd position. In the period between the completion of Airship and its release, I have been itching to start work on a new album. The thing is, I imagined Airship would “run its course” (to quote a fellow musician), before I moved on to new material. But, I could not help myself, I had to start composing again. In fact, I have two albums’ worth of ideas waiting to be developed into finished pieces. As far as style is concerned, I am interested in adding distortion and including more variation. I am a great lover of the drone genre, in which repeating phrases play a major role. Airship is heavily influenced by this idea. Repetition is at the front and centre of every track, everything is built around a looping melody. But the more I think about new music, the more I want to de-homogenise the listening experience. One exciting development is the possibility of collaborating with dark ambient artist Krzyzis. His Sustainability (2016) made a big impression on me. He has developed a way of working with distorted sound, which allows him to create incredible textures in his music, giving it an immersive depth and mass. He has expressed interest in giving his input on new material, so I am really looking forward to the months to come.